We’re proud to bring you our creations, imagined and harvested from our corner of the world to yours. For 40 years and counting, we’ve poured ourselves into transforming the benefits of our land into delightful experiences. Our first love and first creations, our wines have brought joy to Lake Erie Wine Country and beyond since 1973. From our humble beginnings, we set out to make a variety of wines as delightful as the landscape and communities that we call home. Today, our three locations in North East and Westfield are testament to our passion to preserve and transform the benefits of our land into pleasing vintages time and again. 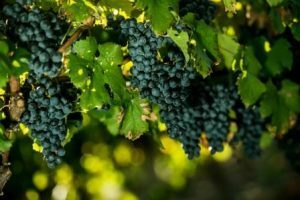 Styles including varietals and blends using traditional vinifera, hybrid, and native varieties, as well as fruit, sparkling, fortified and dessert wines. Each of our locations offers its own unique selection. Visit them all to experience each distinct atmosphere and tasting experience. 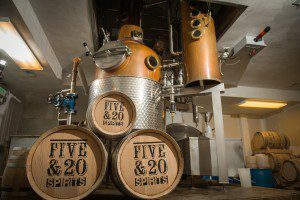 The newest addition to the Mazza family is called Five & 20 Spirits & Brewing. We’ve harvested and prepared the ingredients with local farmers near our distillery and brewery in Westfield, NY, nestled between Routes 5 & 20 in Lake Erie’s Wine Country. The outcome of our work is your unforgettable drinking experience. Producing craft-distilled small batch spirits including aged and unaged whiskeys, specialty spirits, liqueurs, fruit brandies (eaux de vie) and grappa. With a brewery launched in 2015, we’re now producing unfiltered craft beers such as our Cream Ale, Pale Ale, Rye Pale Ale or Stout, utilizing local ingredients. Find out more about the progression of Mazza places and products in our storybook. Use our Find Us Map to locate places to buy our wines, beers, and spirits.